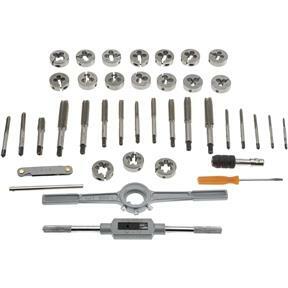 This High Speed Steel Tap and Die Set has the most common inch sizes. The 16 sizes range from 4-40 to 1/2"-13. 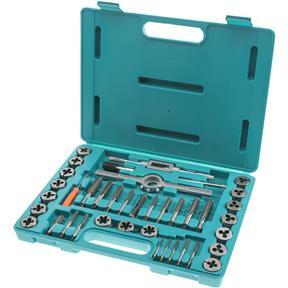 All fractional taps include both fine and coarse threads. Also included: 2 tap handles, 1 die stock handle, pitch gauge, screwdriver, carrying case and 1 National Pipe Thread 1/8"-27 tap and die.